We spend a lot of our time online these days. 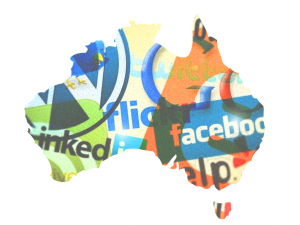 An IAB report from November 2013 revealed that on average, Australians are spending up to one day a week engaging with digital media including activities such as surfing the web, spending time on social networking sites, gaming, reading news and watching video. What happens to our online accounts when we stop using them or are no longer around to engage with them? The reality is unless we delete our accounts, our data, profiles and activity histories remain with the companies that we signed up to. Sometimes, these histories resurface again in less than positive circumstances. Whether you are organising your digital estate, planning what will happen to your online life when you are no longer around or you are in the unfortunate situation of managing someone else’s digital afterlife, it’s important to know the terms and conditions and account closure procedures of the companies offering online services such as social networking or email. Below is a line up of the top 20 social networking companies by number of users in Australia and what their policies are when someone in their community dies. Not all providers are clear on their process and in some cases, information on this topic is non-existant. Where this is the case, contact recommendations have been suggested to get in touch directly. If you are planning a digital will, it is worth thinking about password management options where you can provide account access to next of kin, family or nominated friends considering there are several accounts which don’t offer a straightforward process for account closure after death. These may also be useful if you’d like to share your online data with others when you are no longer around. With the exception of Google via Google Inactive Account Manager, no other company listed here offers a straightforward means of data transfer to next of kin or nominated representative after death. It is stated where Away For A Bit has asked social network companies to provide additional policy/process information and this list will be updated as details are made available.